Saint Louis Area news reported that Tiny homes have become the trend for first time home buyers and people who are retiring/downsizing. These homes sport attractive kitchens and baths and utilize every inch of space possible. Are these a good investment? Let us know what you think. The St. Charles County real estate market is off to a strong start in 2015! January saw an over 19 percent increase in pending sales, contracts accepted, over January of one year ago. Plus January sales volume was up over 9 percent. There is also good news for home owners the median home price in January was $176,210, an increase of almost $10,000 over last January. 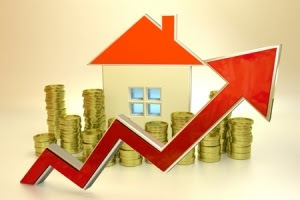 Click on the Housing Stats Icon at www.StCharlesREALTORS.com for more information. The spring market will likely be a hotter one this year, as low interest rates and a healthier economy lure more home buyers to the marketplace. Register your home search at www.ExploreSaintLouisHomes.com. To know what type of home loan you qualify for contact Chris Lee Vice President and Loan Officer, NMLS ID454660 at Pulaski Bank 314-341-9085 or CLee@Pulaskibankstl.com. 1. Consult your mortgage person to review your financial goals and determine if you have to sell your home first. You will learn what price range you should be searching in when looking for a home. 2. Still Wanting to sell? Go to GreaterSTLMarketValues.com for a preliminary review of what your home may sell for. Register for automatic updates to compare your home to those on the market. 3. Contact your favorite real-estate agent to review your home and conduct a more thorough market analysis. Ask the agent to review what types of repairs may need to be made for your home to be marketable. Do you need staging? 4. Develop a plan and timeline with your agent to take professional pictures and put your home on the market. Start de-personalizing your home. 5. House on the market? Sit back and relax and let your agent do the work. Start researching your dream home at ExploreSaintLouisHomes.com. Following these steps will put you in a good place for selling your home and purchasing your next home. Don't have a mortgage person call Chris Lee from Pulaski Bank at 314-341-9085. You can learn more about Chris on ExploreSaintLouisHomes.com about section. Is it the right time for you to sell your home? Complete our Question form on our website and we'll get started. Custom built from top to bottom w/options whose cost far exceeds the list price this home is a steel. Beginning with custom built cherry wood 42 in cabinets in the kitchen including center island & breakfast bar. Travertine stone tile graces the entry, kitchen, breakfast, hearth and powder room. Multiple custom built cabinets in nearly every room. This 4 BR w/approx 5000 square ft of living space has a unique open floor plan. GR, kitchen, & hearth room on main flr. Elegant separate DR. Beam central vac. Direct vent gas fireplaces (2) will operate during power failure. 9ft LL has office/den w/lookout, play room, full bath, large theatre room, workshop, & poss sleeping area. Freedom lifestyle at its best in this gorgeous detached Freedom Home lined w/mature trees. Your approach to a extensively landscaped home front & back maintained by assoc means no work for you. Request amenities list for a full description of the additional options in this home. 314-749-0921 Direct See this or any home at www.ExploreSaintLouisHomes.com. Register your search request on this site.